Title: The Way of All Flesh! Synopsis: In an ill-fated grab for immortality, industrialist Eric Cameron's life model decoy body Adonis is transformed into a monster instead of the perfect form that he planned. 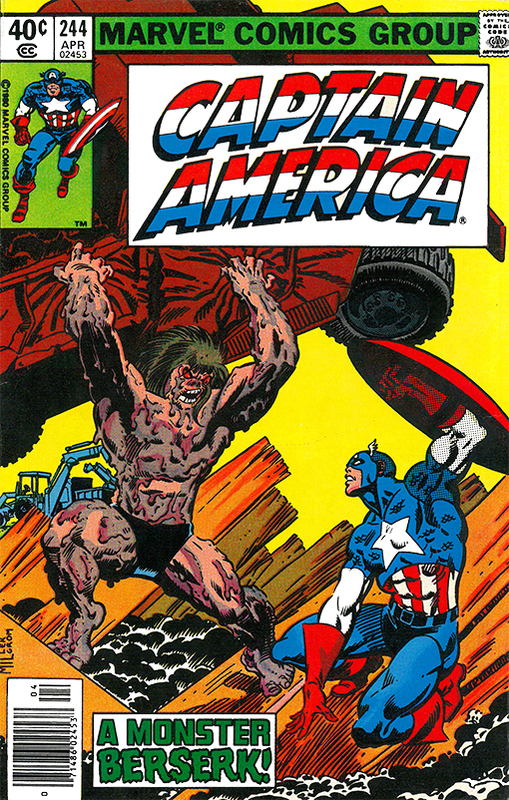 Fueled by a brutal rage, Adonis escapes Captain America and flees the scene. While the search for the monster continues, Captain America returns home to shower and report for a job interview as Steve Rogers. He has instant chemistry with his prospective employer who fought in World War II and Steve ingratiates himself with the otherwise prickly man. Adonis eventually surfaces and the First Avenger rushes to the scene, fighting his fearsome foe and winning the battle by default when the monster is electrocuted to death. Bullpen Bio: John Romita, Sr.